The board is taking three layers of precautions in distributing question papers. “The question papers and other exam related material will be sent in a box, parcel and packet. The Centre Superintendent will collect the material on the basis of date sheet,” said CBSE chairman Anita Karwal. This year, the board is taking strict measures to prevent cheating. “The school premises will be sanitised on the day of examination. No unauthorised personnel, including parents, teachers and other officials will be allowed on the day of the examination,” CBSE chairman mentioned. This year, a total of 31 lakh candidates will appear for both the Class 10, 12 examinations. Around 12.5 lakh candidates will give the Class 12 examinations that will commence from February 15, and 18.5 lakh in Class 10 that will begin from February 21. “The schools have been asked not to entertain more than 24 students in a classroom. The guidelines regarding this have been sent to every school,” Kanwar said. As the students are barred from taking any electronic gadgets inside the examination hall, the board will introduce the bell process to maintain the timing during examinations. “There will be a long bell for the last entry in the examination hall, at the time of commencement of examination and when it concludes. The intervals will be notified with a single bell,” the official mentioned. 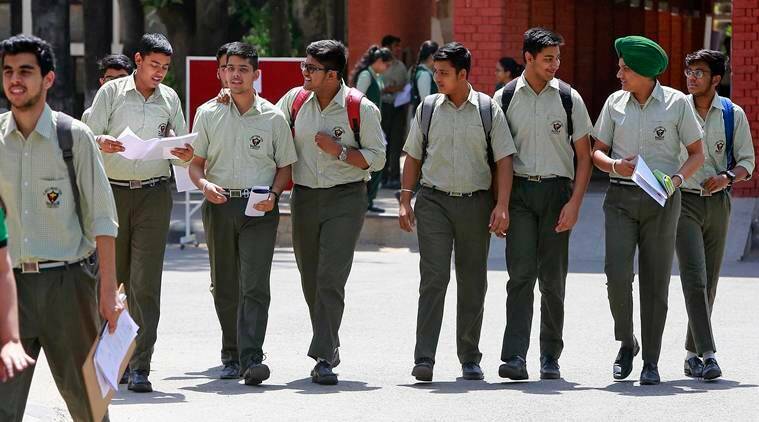 From the live webcast on Monday to consult about the preparedness before the examinations, CBSE has instructed every school to ask district officials to impose section 144 during the hours of the examinations, the official mentioned. Last year, the Central Board of Secondary Education (CBSE) faced criticism due to the incidents of paper leak that were reported in Class 12 Economics and Class 10 Mathematics examination. Several arrests were made, and the board had to re-conduct the Class 12 Economics paper on April 25.